This "Pup Trailer" is a replica of the original Aurora "Big Ryder" pup trailers introduced in the late 1970's. 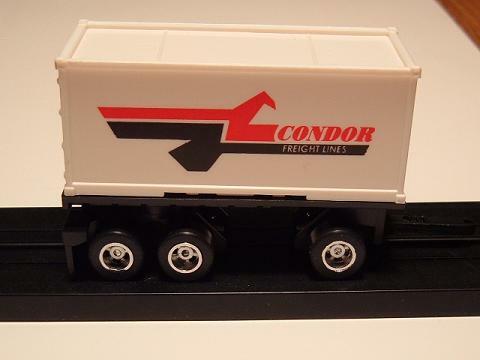 It is an original design depicting the "Condor Freight Lines" name. This container is white and rests on a black trailer.